Beauty is not skin skin deep but it is soul wide too. A true beauty is what comes from within and radiates outside. Makeup and cosmetics are just a feel good quick fixes and products that could enhance the way you look temporarily. If you want to look good, you need to focus on your internal body as well exterior body. The idea is to cleanse the body from within and purify your skin with right breathing Technics. Now a lot of things that helps you cleanse your body like eating right, practising discipline, balancing work-life and numerous exercise. One such practice is- Yoga. Two things are very important for a better body and well-being. They are breathing right and proper digestion. Yoga aims at making you stretch your body into Asanas and postures that helps in losing weight, curbing flatulence and improving your overall flexibility. It helps in regularizing your breathing, improving blood circulation and aide to overall detoxification. Unlike other exercises that focuses mostly on losing calories, Yoga has a roundabout approach that aims to heal, rejuvenate and thrush life into whole body, mind and soul. Yoga helps you curb your stress and co-create inner peace. After all, you know about that stress and how it leads to your pimple outbreak. Want to look beautiful the natural way? Here are five #MustDo simple Yoga for everyday practice. This top the charts. Padma means Lotus and Asana mean Posture. Together it means "blossom like a lotus". This is the basic of all Yoga, a cross-legged posture that helps in meditation, breathing right and calming your mind. Regular practice helps in reducing muscular stress, breathing regularisation [hence preventing asthma and other breath related disease] and relaxation of body and mind. How to do: Sit straight with legs folded inside. Keep your head, back and chin straight. Your hands should be straight, stretched, folded in a mudra and resting on your knees. Close your eyes. Take a deep breath inhale and exhale. Do it for minimum 15 minutes and release slowly. This means "doing the upside down". This is one of the simplest Asana. It has different forms but the simplest one is "leg up on the wall". How to do: Lie down with your hips touching the wall, bend your legs and sweep them up on the walls, keeping your lower back elevated. Let your hands rest on your side with your palms open and facing the ceiling. contradict and release your thigh bones for 3-5 times, close your eyes, concentrate on your breathing, hold for 5-10 minutes. This helps in relaxing your legs, spine and nervous system, Also, helps you dealing with insomnia. Women with glaucoma and serious spine injury should not practice it without expert consultation. It means "Posing as a bow". How to do: Lie flat on your stomach. Spread your legs apart and keep hands close to the body. fold your knees inward and bring them up, and try to hold them. Inhale, lift your chest from the ground, pull your legs up by your ankles, placing all the body weight on abdome the . Stretch your neck and look straight [very important]. Hold this position for 10-20 seconds and then release it while exhaling. It is like a multi-Vitamin yoga Asana for your body. It helps in detoxification as the pressure comes on abdomen, improve tensile strength and enhance your complexion. I find it as a great stress buster. This is not good for people with low and high blood pressure. Matsya means fish. This is a simple pose where you arch your neck and spine back, allowing blood circulation through the neck to your face. 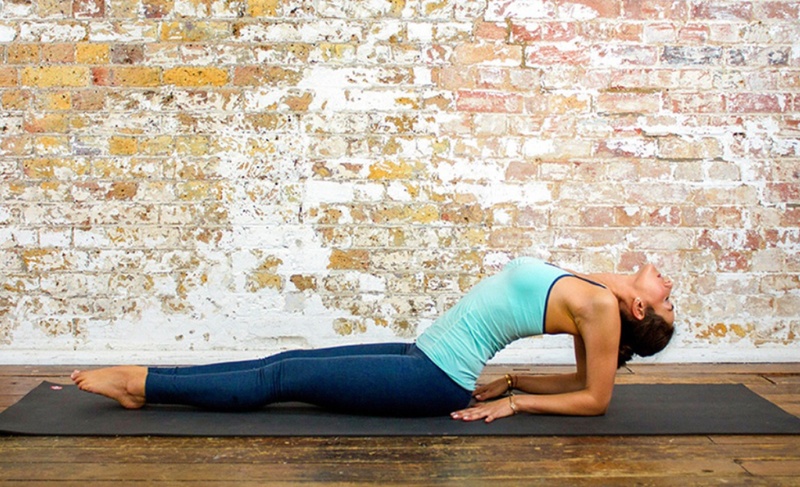 How to do it: lie flat on your back with your arms close to your body [sides], PALM DOWN. Keep your butts on the floor and Lift your torso up pressing your hands and forearms. Arch your back and tilt your neck towards the floor. Take deep breaths, 5-6 times, hold this position for 60 seconds before releasing it. This pose really flux your blood and boosts your glow and complexion. We started with warming up doing- Padmasana. 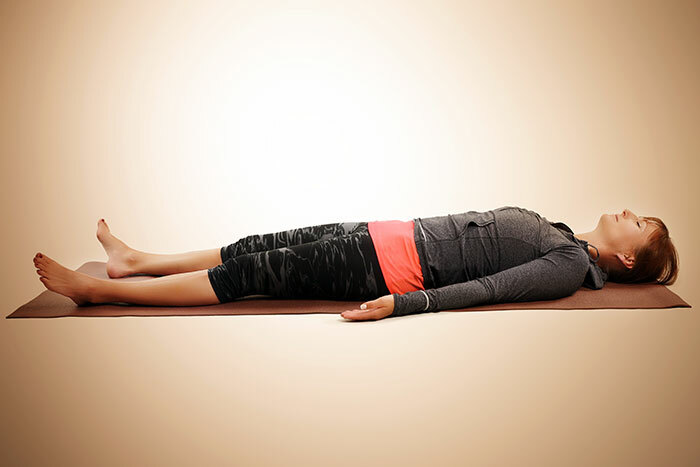 So before you end your Yoga session, end it with a simple Savasana. As the name suggests, this position is akin to a "dead body" position. This position inculcates rest and relaxation towards the end of your Yoga or exercise session. How to do: Lie flat down on your back, keeping your eyes closed and your body relaxed. Keep your legs apart and open your palms, facing up. Breathe slowly and deeply, focusing on your entire body. Inhale and exhale for about 10-15 minutes and when you feel you are done, do not get up or open your eyes. roll over to your side . Using your right hand as support, get up and sit in the Padmasana position. gently open your eyes. This Asana leaves you looking relaxed and feeling rejuvenated. However, you need to do it with utmost sincerity and focus. I generally avoid sleeping post Savasana. So these were the five simple and basic Yoga poses that helps you detoxify your body and enhance your skin beauty. It is important to practice them with disciple and right posture. However, if you are pregnant or in post natal phase or have any kind of spine injury, blood pressure or any other medical condition, you need to consult with a Yoga expert before trying any of them. 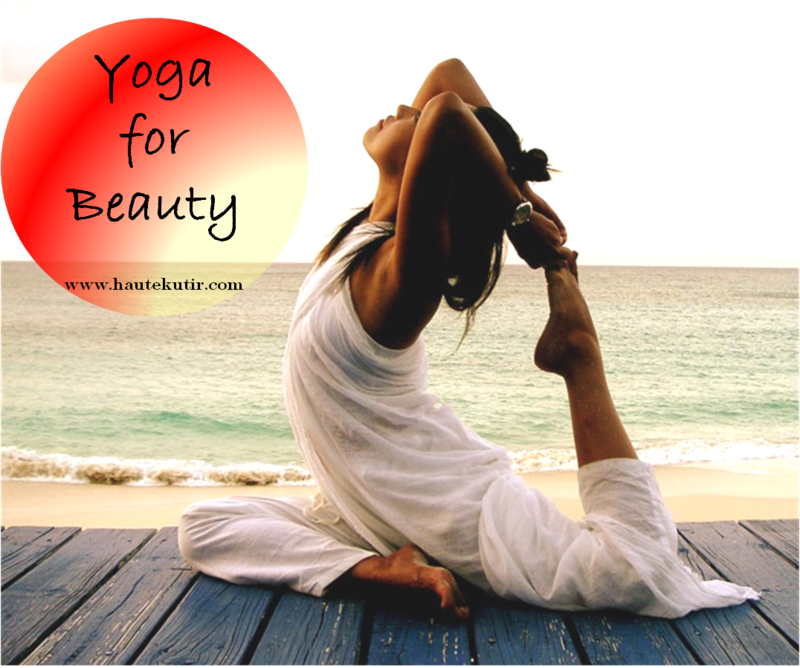 If you do these 5 Yoga pose daily, your skin will improve drastically, adding to your facial glow and beauty. Yoga is a perfect way to enhance your beauty as it aims to keep your physical, mental and spiritual condition in optimal state.